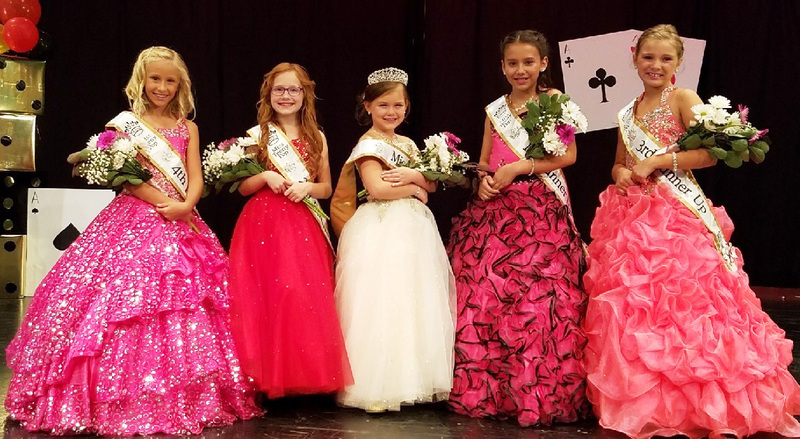 Pictured (l to r): 4th Runner-up Braelyn Miller, 2nd Runner-up Scarlett Roston, Miss Teeny Pop 2017 Paytn Smith, 1st Runner-up Alivia Guadarrama, and 3rd Runner-up Ava Roseberry. The Miss Teeny Pop Pageant will be held on August 11, 2018 at River Valley High School. Registration is 8:00am to 8:45am and the Pageant begins at 9:00am. The Miss Teeny Pop Pageant is open to girls ages 6-12 by or on the date of the pageant. For more information, contact Marissa Oliver at mpfmissteenypop@yahoo.com. Click here to download an application to compete.